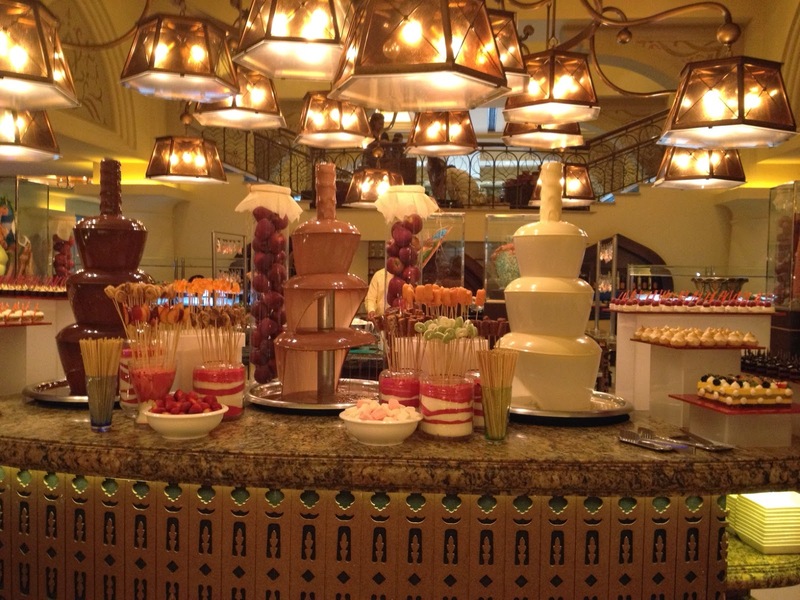 Sofra Bld Saturday Brunch - Shangri-la, Abu Dhabi. I had the pleasure of going to Sofra for Saturday brunch. Again. Is it possible to lose objectivity because one likes a restaurant and end up glossing over weaknesses? Of course. 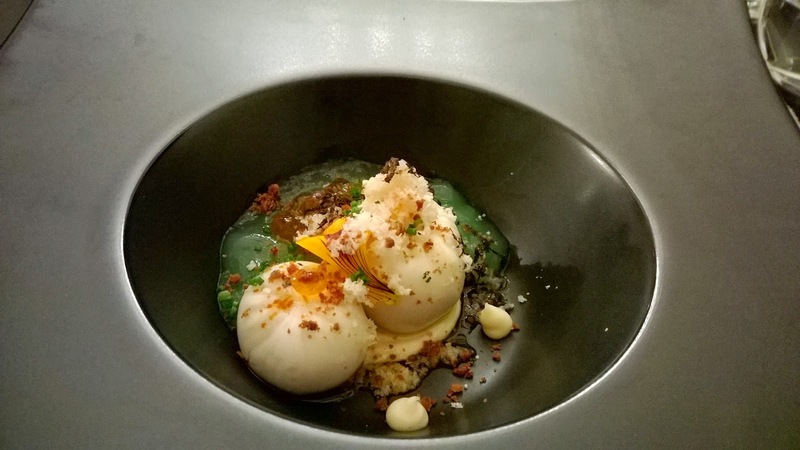 However, in my case I think the fact that I really like Sofra at Shangri-la actually makes me look at the dining experience with more acute awareness. I love the walk down the steps which gives one a view of the large doors and windows. It feels grand and opulent, but not in an intimidating manner. It retains a touch of 'down to earthness' which I value so much in a restaurant. We were seated and offered drinks. Sofra boasts a culture of service that is very special. The staff have the broadest smiles and are very attentive to guests, even when the restaurant is full. They may not be as slick as the staff encountered in a few other places, but there strengths by far outweigh their weaknesses. They immediately set you at ease the moment they make eye contact with you. Ceres, the Goddess of fruitfulness, would be in her element here. 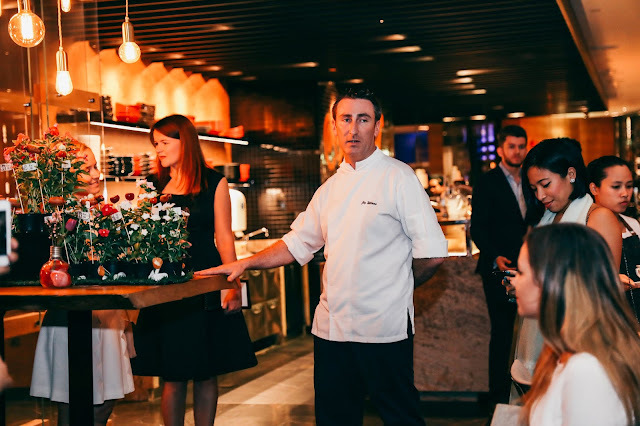 The live stations on offer are pretty much standard these days, with Sofra offering a cold mezze station, Chinese courtesy of Shang palacem their Cantonese restaurant, roast, cheese and a decadent dessert station. but I would like to focus on three: the fruit, seafood and kids stations. 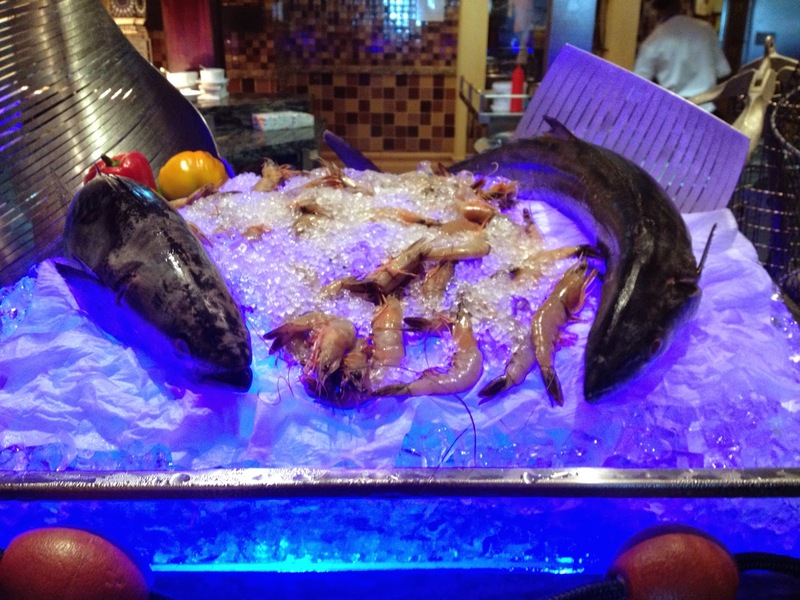 The seafood station, modest in comparison to the Sofra Friday brunch, is nonetheless one of my favourites. Fish, shrimp and calamari are more than enough to satisfy a fishy palate, especially when you consider that the Saturday brunch is significantly cheaper than the Friday brunch. I am never disappointed with the way the calamari is cooked and this day was no exception. Naturally quite flavorless, I had it with dry chili. The end result - delicious. Recommended. The seafood station is always a highlight for me. Next, I want to mention the kids' station. While small, it is very attractive and catches kids' eyes easily. It is a shame though that it is quite dark where it is. They used to have it at the opposite end of the restaurant. 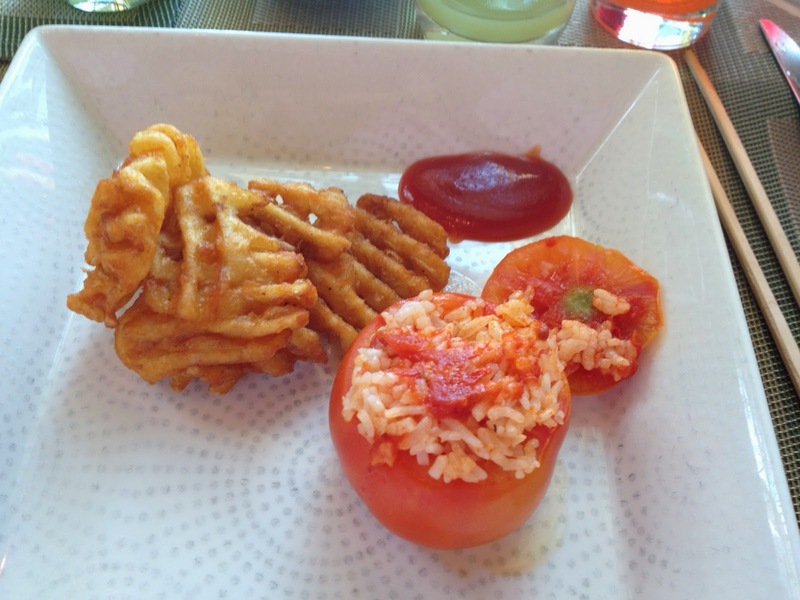 Nonetheless, the potato and the tomato filled rice were very tasty, so tasty that I got my own. I am seriously against the idea of restaurants serving chicken nuggets and bad fries to kids because they assume that is what they want. Restaurants can educate parents too, so I was pleased when I saw the kids area. I would like to see them add the excellent BBQ chicken from the Middle Eastern station they had on offer. Kids will love that. 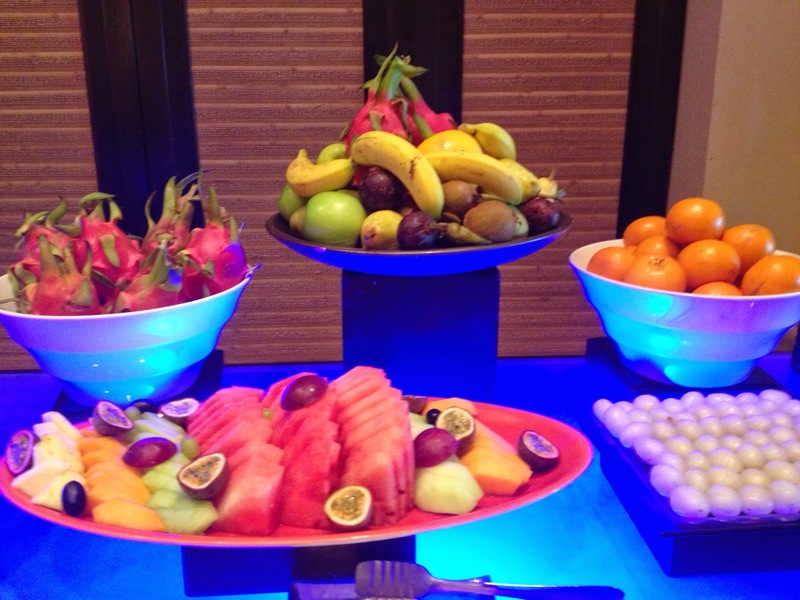 Finally, the fruit station was colorful and inviting with a presentation that jumped out and said, 'Eat me'. Not only was fruit cut and laid out, they also had a fruit basket. 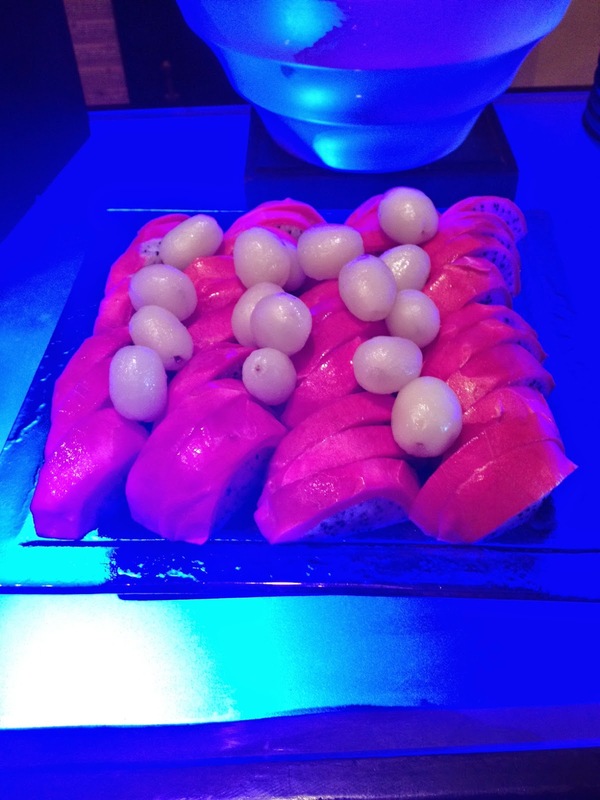 Dragon fruit, while rather flat in taste, lends itself to marvelous presentation and this was used to good effect. A special touch was that rambutans had had their skin removed, making it easier for people to enjoy the lesser known, but equally tasty cousin of the litchi. The dessert station remains one of the most diverse and visually appealing I have encountered in the city. It was day I disregarded calories and helped myself to apple tart, raspberry sorbet and cream brûlée. Yum, now that I think about it. I was disappointed to see that Hoi An, my most loved restaurant in Abu Dhabi, did not have its own dedicated station. I think it is a perfect vehicle for exposing guests to Vietnamese dishes and is good branding for the restaurant. While I have personally started to appreciate more intimate brunches, I was happy to return to Sofra to experience that familiar Shangri-la warmth. Sometimes all I want is a home away from home. That is when I return to Sofra.